It doesn't take long to get hooked on volleyball. 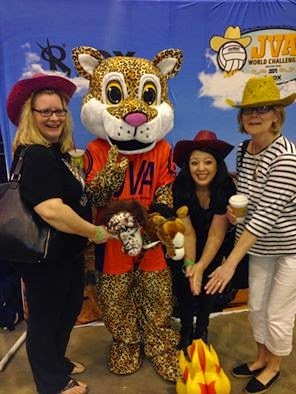 Indoor volleyball continues to grow at the juniors level and it's not surprising when 2 and 3 day tournaments can become fun-filled events for the entire family. Everyone wants to come home with a gold medal, or a bid to the national championships, but on the flight home, or looking back on the season, and even when you dust off the photo album and reminisce, it's the memories, videos, photos and memorabilia that remain. 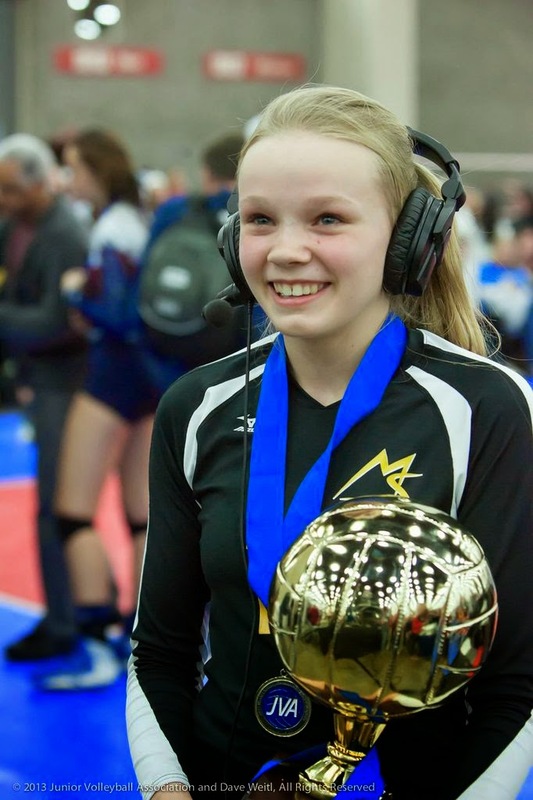 The JVA World Challenge, a 3 day midyear championship for girls ages 10-18 takes the stage at the Kentucky Exposition Center on Friday, April 10th with 780 teams on 103 courts. The tournament will be highly competitive, bringing top clubs from the Midwest, Mideast, mid-South, Southeast and Canada! With AAU's support, the top 2 teams in each division earn a paid entry to the AAU National Championships in June! The championships are front and center with 4 championship courts featuring warm-up music, championship ceremonies, live broadcasting with player and coach interviews, and crowd give-a-ways. 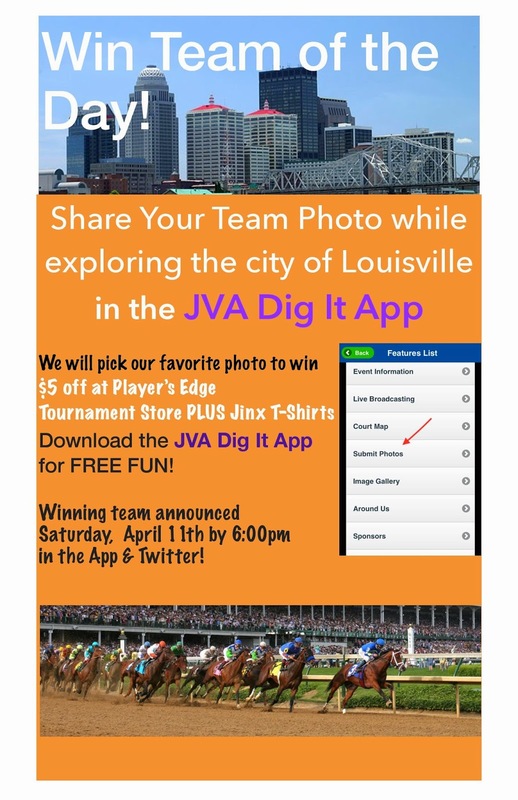 The JVA Dig It App is loaded with coupons for local vendors and attractions, as well as contests & prizes all day long! It is a free download for all smart phones. The top 10 clubs with the most downloads of the app receive their choice of a room at the Expo Center for the entire weekend, a set of game balls, or Jinx t-shirts. Click here to download the app (it's FREE!). Rox Volleyball, the title sponsor for the 4th consecutive year, is back with a Neon Light Dance Contest to get your funk on. So bring your black sweats and dancing shoes and test your glow in the dark dance moves because your team could win $250 to the Rox Volleyball store or 20% off coupon! Rox Volleyball always makes this event memorable. In 2013, Rox and JVA organized an 80 court Harlem Shake before the whistles went off at 8am. Check it out! This year, there is a Scavenger Hunt for anyone to participate in. Once stickers are redeemed at each vendor, we will take your completed Scavenger Hunt and place it in a raffle to win a Jinx Bobble Head and $25 Gift Card redeemable at the Player's Edge Tournament Store. The Volleyball Network and JVA are once again teaming up for Social Media, Interviews with Coaches, Players and Fans, and Live Broadcasting! All matches on the Taraflex 2012 Olympic Court #65 will be broadcasted live all weekend plus all Championship Courts on Sunday April 12th. Make sure to like VBN's FaceBook page for instant access to all the footage and interviews from the championship matches. We once again have over 1,500 Jinx T-Shirts to give away and we have 3 ways to earn them! Not sure what the Jinx Bobble Is? Watch and learn! At an ordinary tournament you would simply check-in the night before right? But at the JVA World Challenge players can participate in the AVCA College Prep Combine to get tested and ranked based on volleyball specific data during a 90 minute assessment. Read more here. 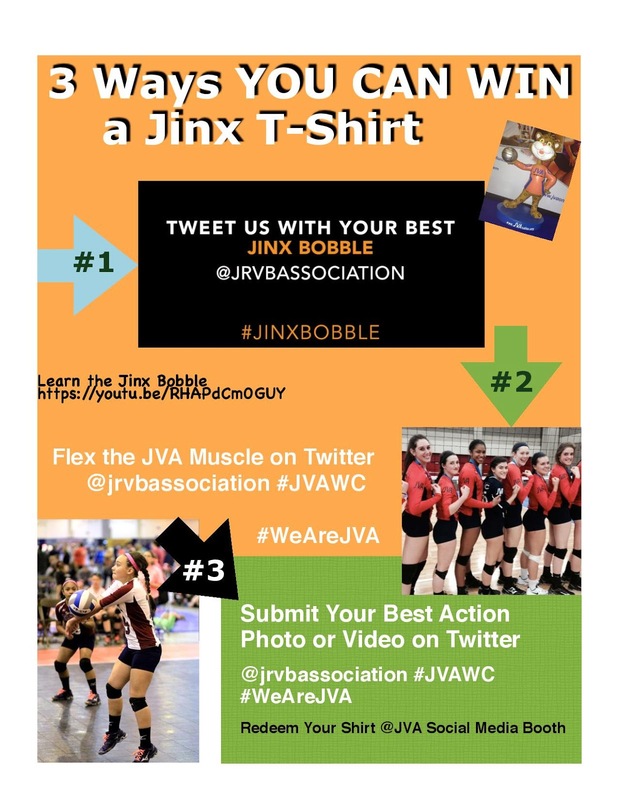 Jinx the JVA mascot made his debut at last year's event and is back for more! He is a big part of the fun and makes his way into many photos, whether intentionally or by photo bombing! Friday's Team of the Day will be announced by 6PM Friday evening. One team will be selected and the winning team receives a party at SkyZone on Saturday. How can your team win? 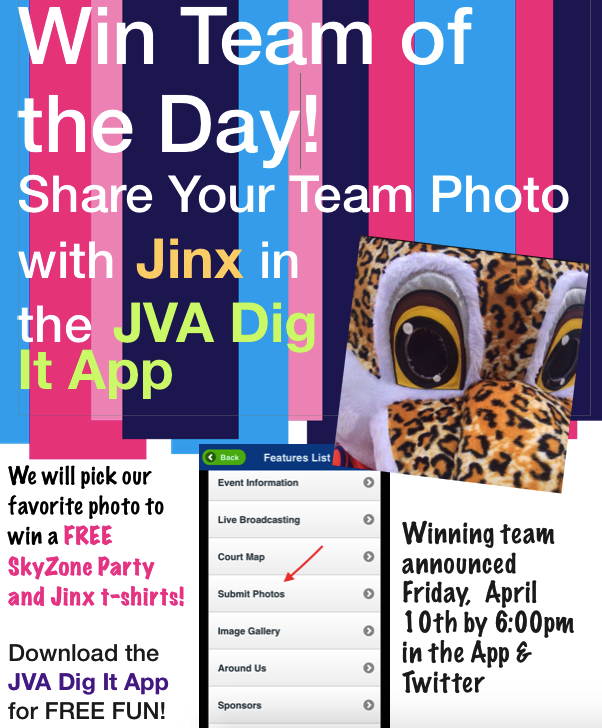 Share your Team Photo with Jinx in the JVA DIG IT APP! YES we have an APP with ALL the tournament info, contests, coupons, you name it! 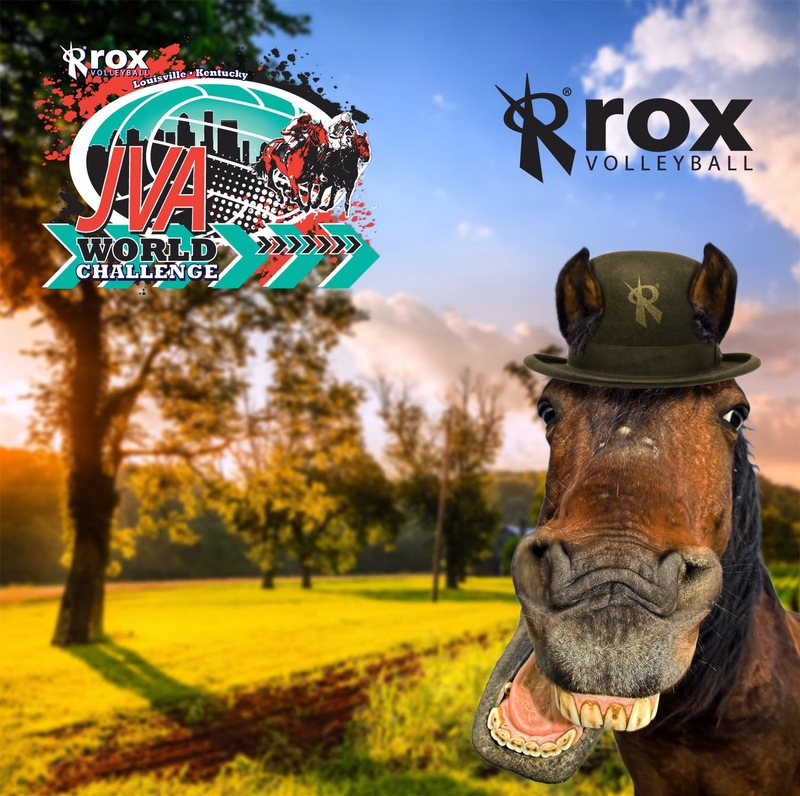 In the App select JVA World Challenge-Submit Photos-Choose the photo-and submit!! To kick off the day, a ball drop will take place at 7:45am near the Tournament Desk. Players will have the opportunity to snag a ball prior to starting their match. What better way to spark some competitiveness in your players right? Saturday is also Dig Pink Day! 1st Place - 12 Free Passes for Bluegrass Indoor Karting & Jinx T-Shirts. Plus the Coach receives a $100 Gift Card to Xhale Salon for pampering on Saturday! Please note that your dollars raised for The Assist Project can count toward the Side-Out/JVA Dig Pink Award, but are due Friday April 10th at 3:00 p.m. to be eligible for the award. Who will win the GOLD and earn a paid entry to AAU Nationals? The top 2 Teams in Each Division Will Win a Paid Entry. Stay tuned and WATCH LIVE on the VBN! Believe it or not, there's even more to share. The JVA World Challenge is truly an event for the entire family. May your phone and camera batteries be fully charged and your scrap books be plentiful, for it's going to be a fun-filled, action packed, memory filled weekend!! For the rest of the info, RSVP to the Event and download the JVA Dig It App. Follow the JVA on Twitter @jrvbassociation for instant updates on junior volleyball and the JVA World Challenge.